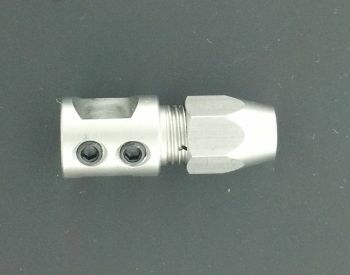 5mm to .187" reverse threaded style stainless steel coupler. Used on reversed cable systems such as the Zonda. Measures: 35mm(1.38") long x 11.8mm (.46") diameter. NOTE: USE only with reverse rotation cables.